Australian government policy, in former foreign minister Julie Bishop’s words , has been to support the ASEAN-led East Asia Summit ‘as the region’s key forum for discussing security challenges’. However, in recent months we’ve seen Australian leaders place an increasingly strong emphasis on the ‘Indo-Pacific’. Is Australia moving away from the ASEAN-centred architecture? One problem with the term Indo-Pacific is that it has increasingly become code for pushback against China—a country of gigantic importance to Australia economically. The assumed connection between the Indo-Pacific and the Quad (the Quadrilateral Security Dialogue, an informal platform for cooperation between the United States, Japan, India and Australia) sharpens the difficulty—not only because the democracy-invoking Quad is so obviously antagonistic to China, but also because recent developments raise doubts about the commitment of at least three of the participating countries. In recent months, the Indonesian leadership (which first advocated the Indo-Pacific over a decade ago) has been trying to regain control of the initiative, insisting that it can be inclusive—read: not hostile to China—and that it could benefit ASEAN. The Indonesians speak of an ‘Indo-Pacific treaty’, an ‘Indo-Pacific regional architecture’ and an ‘Indo-Pacific cooperation umbrella’. Former foreign minister Marty Natalegawa says  he seeks a ‘dynamic equilibrium’ involving the different regional powers, and he and other Indonesians believe ASEAN—positioned at the core of the Indo-Pacific—will maintain that equilibrium. The Indonesian formulations are in some ways attractive, but are they realistic? Perhaps, but there are a number of challenges. First, the Indo-Pacific idea may already be too deeply entangled with US-led strategic manoeuvring. The 2017 US national security strategy gives prominence to the notion, which was reflected in the renaming of the US Pacific Command to Indo-Pacific Command. Indonesia is wise to try to reassert the more inclusive Indo-Pacific concept. ASEAN has always been inclusive, uncomfortable with security alliances and opposed to ideology-based associations. At this point, however, it will take much effort by Indonesia to resist the push towards a counter-China, liberal Indo-Pacific. A second challenge is that many in ASEAN oppose the idea of the Indo-Pacific—and Indonesian policymakers are as aware as anyone of the need to maintain unity. One reason for ASEAN hesitation is the China issue. True, the disputes in the South China Sea have caused concern, but ASEAN has pointed out that that’s only one issue among many in its relations with China, almost all of which are beneficial. Assuming ASEAN agreed to some form of Indo-Pacific architecture, the next problem would be maintaining ASEAN leadership or centrality. Natalegawa has suggested that an Indo-Pacific treaty could be based on ASEAN principles. But even if the major powers were agree to that, the new Indo-Pacific body, in most formulations, would still probably be independent of the ASEAN ‘hub and spokes’ structure—which has been the foundation of such regional institutions as the East Asia Summit, ASEAN+3 and the ASEAN Regional Forum. In a more open Indo-Pacific gathering—one likely to replace the East Asia Summit—ASEAN countries would be hard-pressed to compete with the mega-states of Northeast Asia, India and the United States. Since 1967, ASEAN—despite international criticism of its careful, consultative, consensus-seeking processes—has been remarkable in maintaining a degree of leadership in the wider region, despite being a gathering of relatively small states. 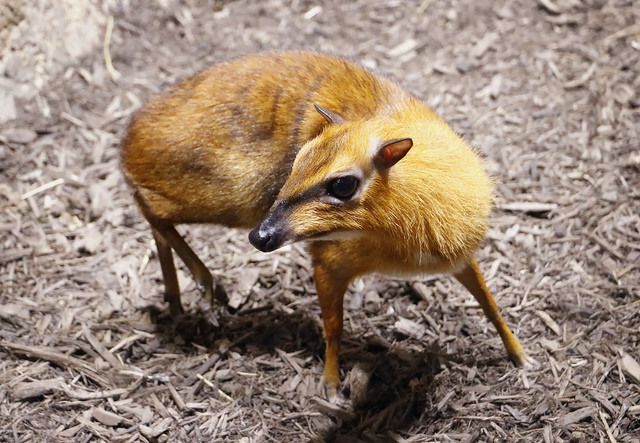 In old writings of Southeast Asia, such diplomatic ingenuity is invoked in the image of the wily mouse deer (pelandok jenaka), the small animal that employs all types of tactic to survive among the big animals of the forest. It is mouse deer diplomacy that Southeast Asians have pursued for centuries with respect to China and other great states—and it is still used today on behalf of what Bilahari Kausikan has described  as Southeast Asia’s long-term quest for ‘autonomy’ and ‘maximal room to manoeuvre’. ASEAN’s leadership in regional institutions has been almost a sleight of hand, but it has one enormous benefit (including for Australia). The question of which major power should preside in the region has been able to be set aside. Assuming the Indo-Pacific architecture moves beyond the ASEAN hub-and-spokes system, the question is likely to be starkly present. The whole thing could unravel—both the Indo-Pacific and the East Asia Summit—if competition for dominance in the Indo-Pacific were to lead nowhere. A further challenge for the Indo-Pacific idea is its lack of emotive or identity substance. This issue tends to confuse Western analysts, who focus on the functional advantages of regional architecture. The importance of practical transborder cooperation is of course acknowledged in Asian societies, but a more organic understanding of regional architecture is also influential. For over a century, beginning in India and Japan, the idea of Asian unity has been promoted; advocating a convincing ‘Asia–Pacific’ vision has seemed even more difficult. As Indonesian analyst Jusuf Wanandi notes, ‘Indo-Pacific’ excludes the word ‘Asia’, which covers ‘the most important part of the region’. Indo-Pacific, in fact, seems to have no emotive substance whatsoever for the people of the countries concerned. This may be unimportant if it’s understood as no more than a strategic framework, but when there’s talk of ‘Indo-Pacific regional architecture’ the deficiency matters. A final consideration is the deeper transition underway in our region—not just a power shift, but a structural change in rules, values and aspirations, influenced in part by a reassertion of perspectives from the past. The promise of a homogenising globalisation now competes, for instance, with a renewed stress on ‘patriotism’ (especially from America); certain older Asian traditions of hierarchical relations seem to be shadowing interstate politics; and Salafi Islam (including in Indonesia) looks backward as well as forward in promoting radical concepts of community and obligation. In some ways, the ASEAN-based institutions might possess a special talent for handling the complexity of the post-globalisation era. Indonesia itself has been a leader in ASEAN’s patient diplomacy and in the region’s quest for ‘maximum room to manoeuvre’. Australian commentators have given too little attention to ASEAN’s successes. In thinking about Indo-Pacific projects, we should perhaps all be careful what we wish for. Natalegawa has been arguing for greater ‘transformative leadership’ from ASEAN—but a transformation away from ‘ASEAN+’ to ‘Indo-Pacific’ architecture is sharply challenging, and may be transformative in dangerous ways. Anthony Milner is an emeritus professor at the Australian National University’s Strategic and Defence Studies Centre. Astanah Abdul Aziz is an official in the Malaysian Ministry of Foreign Affairs; this article reflects her personal views and is not a statement of the Malaysian government’s position. An earlier and shorter version of this article was published in the Straits Times. Image courtesy of greyloch on Flickr.